Prep softball • She pitches a gem, drives in a run, scores two. 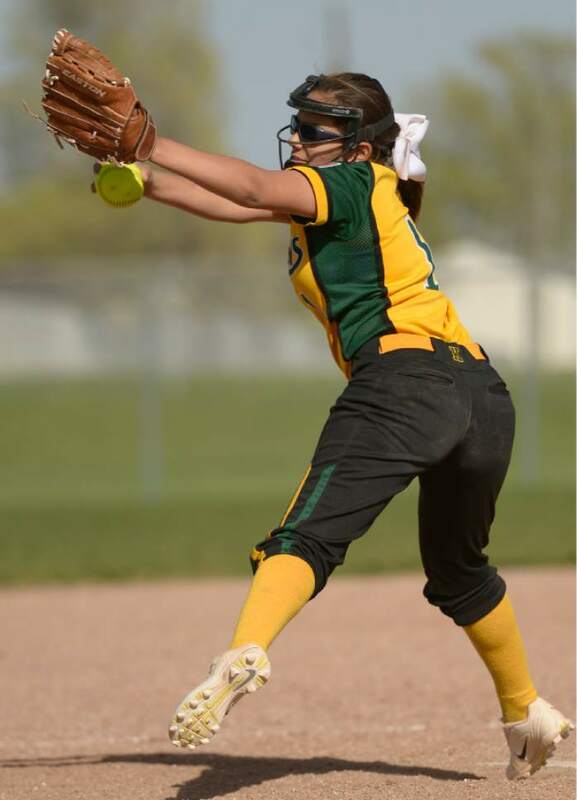 Leah Hogsten | The Salt Lake Tribune Kearns' pitcher Angel Valdez. Cyprus High School girls' softball team defeated Kearns High School 5-0 during their game Thursday, April 13, 2017 in Magna. 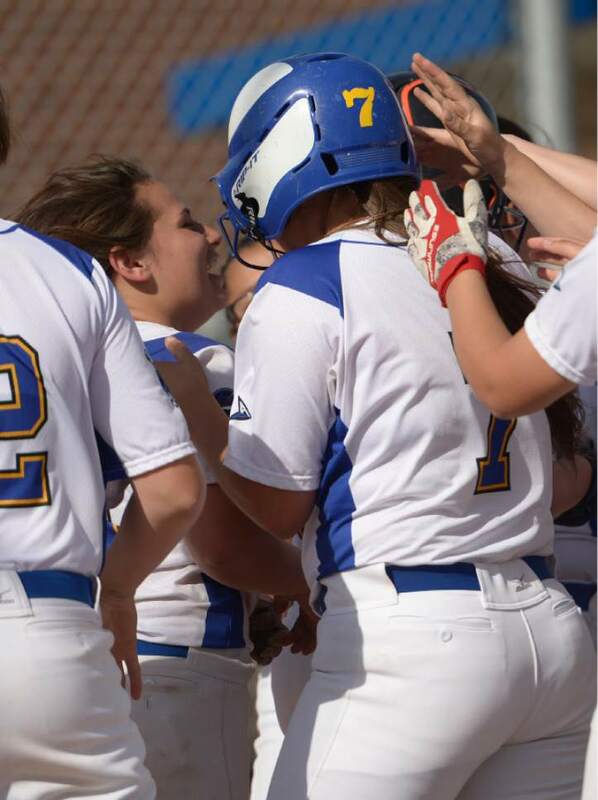 Leah Hogsten | The Salt Lake Tribune Cyprus celebrates Dani Sanchez's homerun. Cyprus High School girls' softball team defeated Kearns High School 5-0 during their game Thursday, April 13, 2017 in Magna. Leah Hogsten | The Salt Lake Tribune Kearns' Kalena Aukistino watches as Cyprus' Dani Sanchez's hit sails over the fence for a home run. Cyprus High School girls' softball team defeated Kearns High School 5-0 during their game Thursday, April 13, 2017 in Magna. 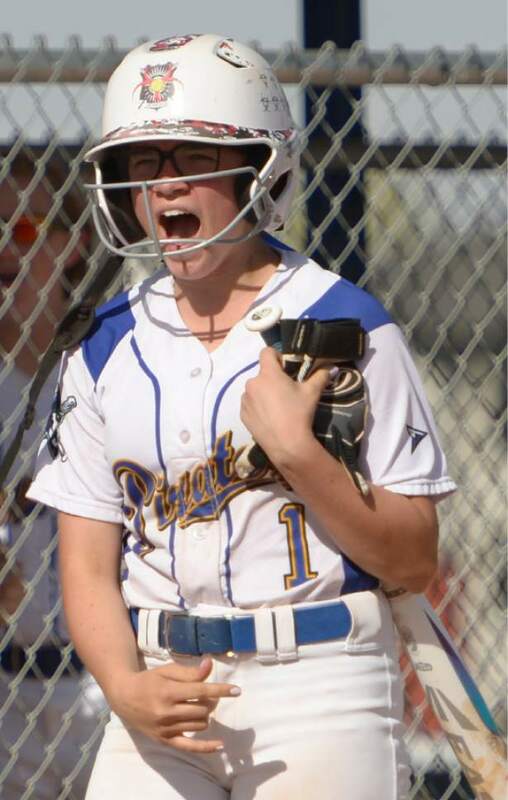 Leah Hogsten | The Salt Lake Tribune Cyprus' Grace Jenkins celebrates the first two of four runs in the the 6th. Cyprus High School girls' softball team defeated Kearns High School 5-0 during their game Thursday, April 13, 2017 in Magna. 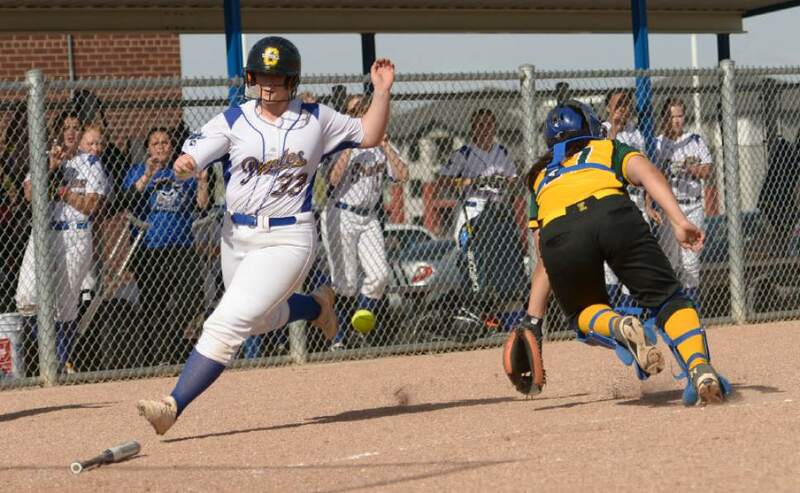 Leah Hogsten | The Salt Lake Tribune Cyprus' Alexis Poulson slides past Kearns' catcher Tuli Soso for the second scoring run in the bottom of the 6th. Cyprus High School girls' softball team defeated Kearns High School 5-0 during their game Thursday, April 13, 2017 in Magna. 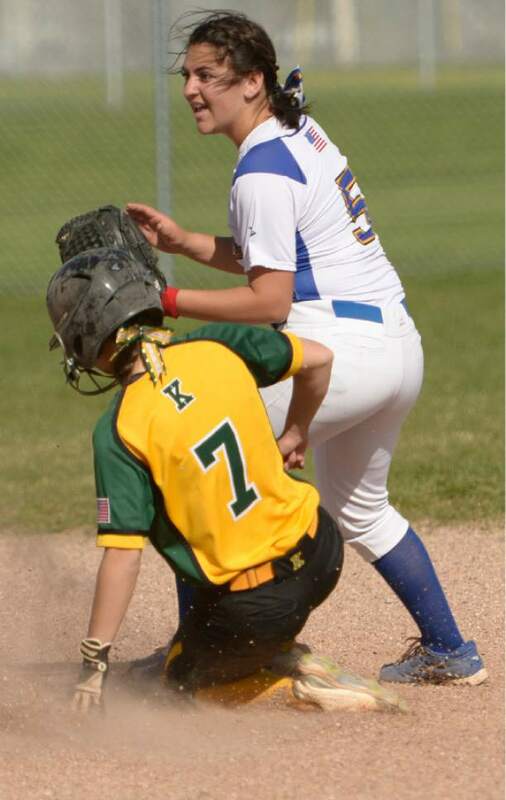 Leah Hogsten | The Salt Lake Tribune Cyprus' Lexi Tahoni can't make the out on Kearns' Shyann Beddow who slides safely into third. Cyprus High School girls' softball team defeated Kearns High School 5-0 during their game Thursday, April 13, 2017 in Magna. 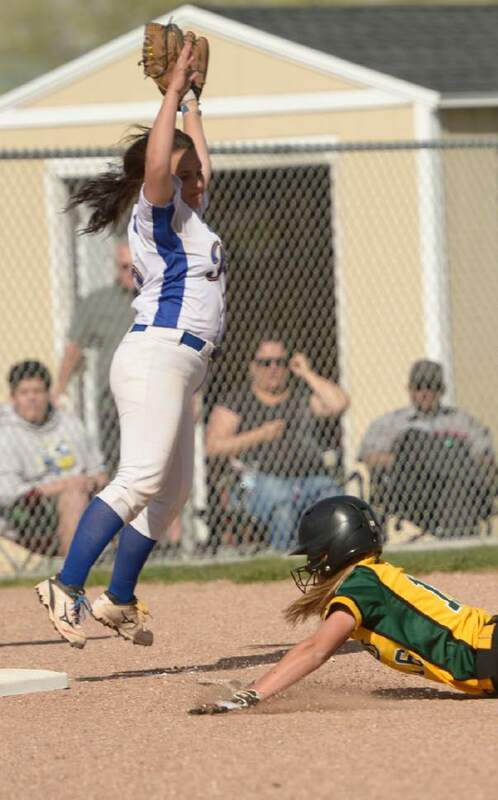 Leah Hogsten | The Salt Lake Tribune Cyprus' Bailey Tahoni outs Kearns' Vanessa Sasaki at second. Cyprus High School girls' softball team defeated Kearns High School 5-0 during their game Thursday, April 13, 2017 in Magna. 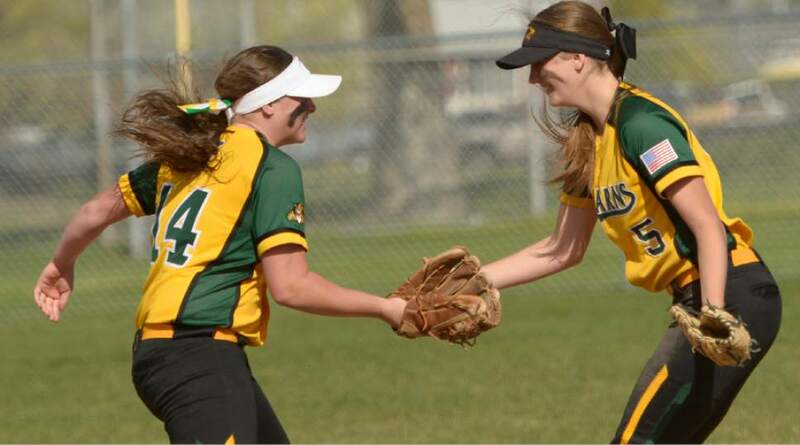 Leah Hogsten | The Salt Lake Tribune Cyprusí Alexis Poulson pitches a four-hitter against Kearns on Thursday in Magna. 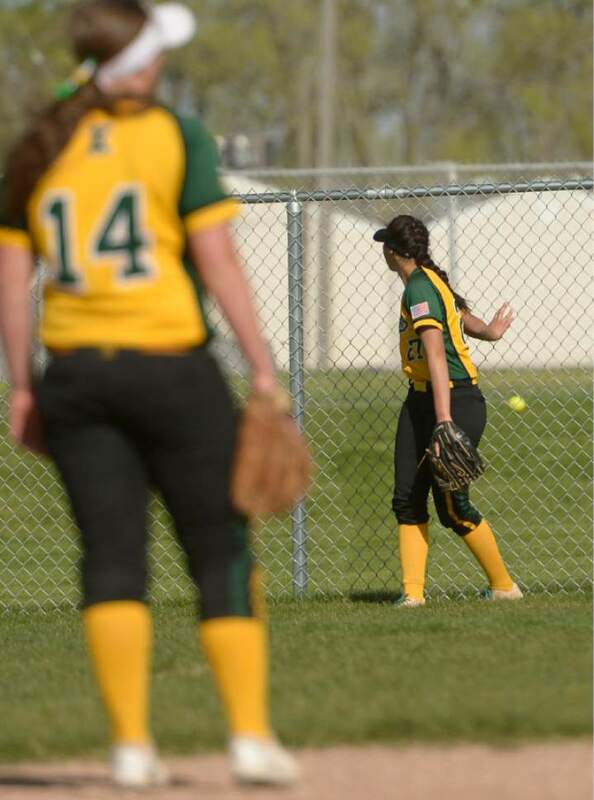 Leah Hogsten | The Salt Lake Tribune l-r Kearns' Tristin Evans celebrates and out by second baseman Amanda Morris. Cyprus High School girls' softball team defeated Kearns High School 5-0 during their game Thursday, April 13, 2017 in Magna. Leah Hogsten | The Salt Lake Tribune Cyprus' Chloe Sharp makes the catch.Cyprus High School girls' softball team defeated Kearns High School 5-0 during their game Thursday, April 13, 2017 in Magna. 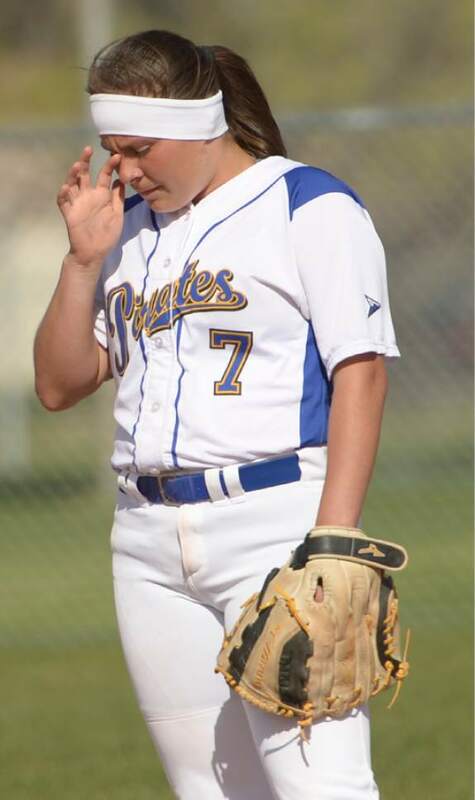 Leah Hogsten | The Salt Lake Tribune Cyprus' Dani Sanchez wipes dirt from her eyes as high winds circled the field. Cyprus High School girls' softball team defeated Kearns High School 5-0 during their game Thursday, April 13, 2017 in Magna. Magna • Cyprus pitcher Lexi Poulsen wouldn&apos;t want opponents to think she is rude, but she does admit that she likes to get into their heads. 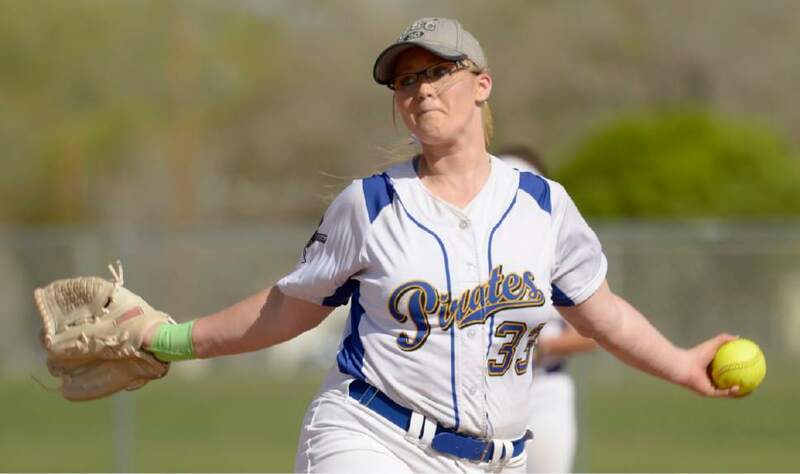 And that&apos;s exactly what the junior left-hander did to Kearns on Thursday as she pitched and hit the Pirates to a 5-0 win to keep Cyprus in the hunt for a league title. 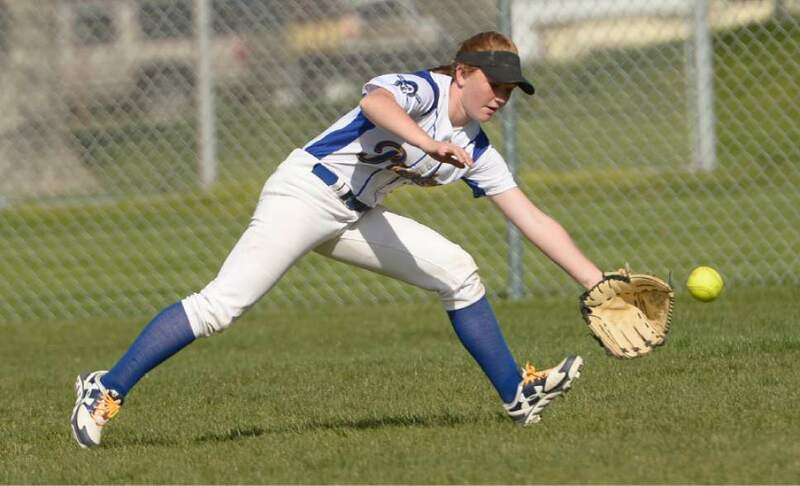 Poulsen held the Cougars to four hits and struck out eight in a dominating performance on a day when the wind often gusted over 40 miles per hour, playing havoc with fielders and batters. "I just go into it with a strong mentality," said Poulsen, who also scored two runs and drove in another. "It sounds rude, but I want to get into their heads. It&apos;s a mind game." She said that that the wind was nerve-wracking at first because anytime a ball went into the air, it was difficult to catch. Cyprus coach Kjera Miranda called Poulsen her secret weapon, who is becoming less of a secret as the season progresses. "She is very consistent," said Miranda, whose team improved to 3-1 in league play and 11-3 overall. "She steps up to the plate when we need her to. If we need her to put a ball down, she does it. If we need her to hit a line drive, she will do it." The game was scoreless through 31/2 innings before Poulsen scored on a fielder&apos;s choice in the bottom of the fourth. The Cougars threatened in the sixth, getting runners on second and third, but could not take advantage. Cyprus rallied for four runs in the bottom of the sixth, all coming with two outs. Daniele Sanchez got the big hit the rally, a towering home run that easily cleared the left-field fence. Miranda liked what her team did, especially the few times when the wind died down. "They did what I asked and made the right decisions," she said. And, as a result, the Pirates remain in the league title chase. • Lexi Poulsen pitches a four-hit shutout, scores two runs and drives in another to lead Cyprus. • Daniele Sanchez blasts a two-run homer for the Pirates.